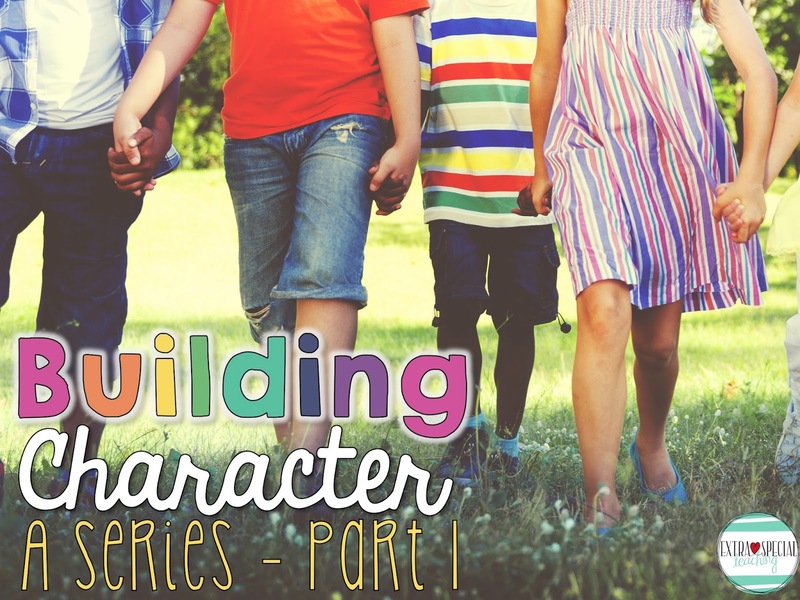 My focus this school year will be building character with my students. The recent tragic events that have happened in our country have made me even more certain that building character and working on problem solving skills in my classroom are more important than ever. As I reflected on last year's students and class, I realize that I should have been more explicit in teaching and modeling how to solve problems between students. I have already been planning for next school year, and I will be heavily focusing on building our classroom's community. One of my main focuses at the beginning of the year will be teaching my students how to solve conflicts between each other. *He's too close to me! And yes, I had a class of boys last year! This year will be discussing these issues, and I will be giving my students specific strategies that they can use to solve these problems themselves (and not coming to me for every little thing!). In one of my teacher Facebook groups (collaborating and talking to other teachers is my favorite) another teacher suggested a Solution Wheel. What a brilliant idea! I made one for my classroom, because I loved the concept. You can download one for your classroom by clicking the picture above. We will spend time discussing the difference between small problems and big problems. I also loved the suggestion from the other teacher that she encouraged her students to try 3 solutions before coming to the teacher for help. I absolutely love using mentor texts with my students. Mentor texts are so useful for so many things, and I have spent my summer researching and collecting high quality mentor texts for my classroom. 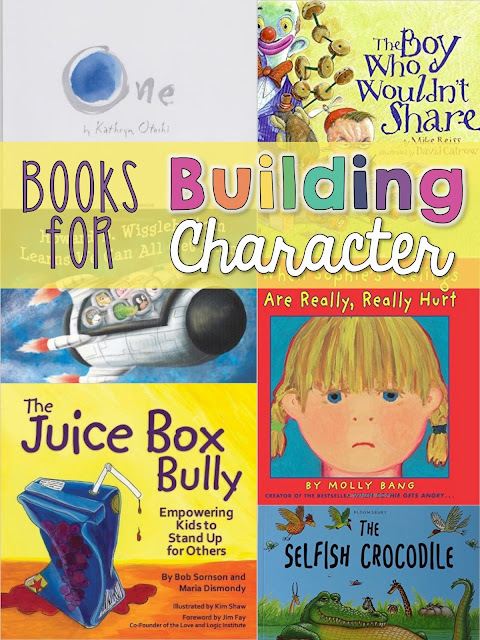 Here are some of the mentor texts I will be reading to my students as we discuss problem solving and handling conflicts. If you are interested in more mentor texts, I have created a new Instagram page where I will be focusing only on mentor texts. 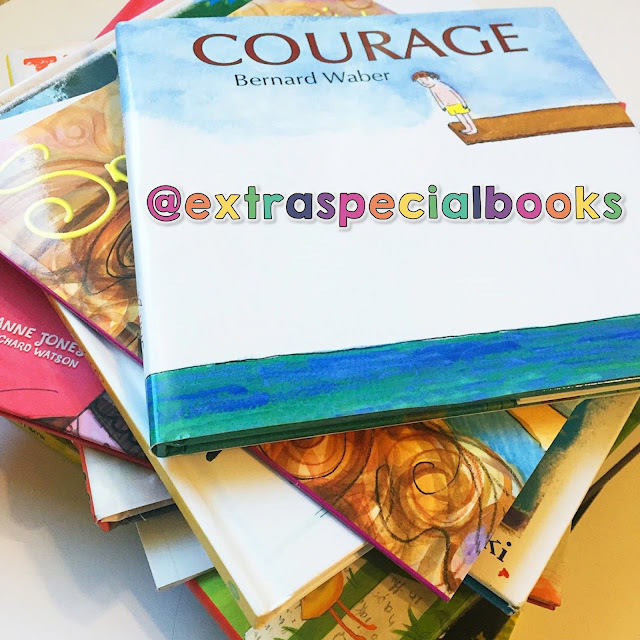 You can follow me at @extraspecialbooks or use #extraspecialbooks if you have some great mentor texts that you would like reposted. If you're interested in joining the Facebook group I mentioned earlier, click the picture below. 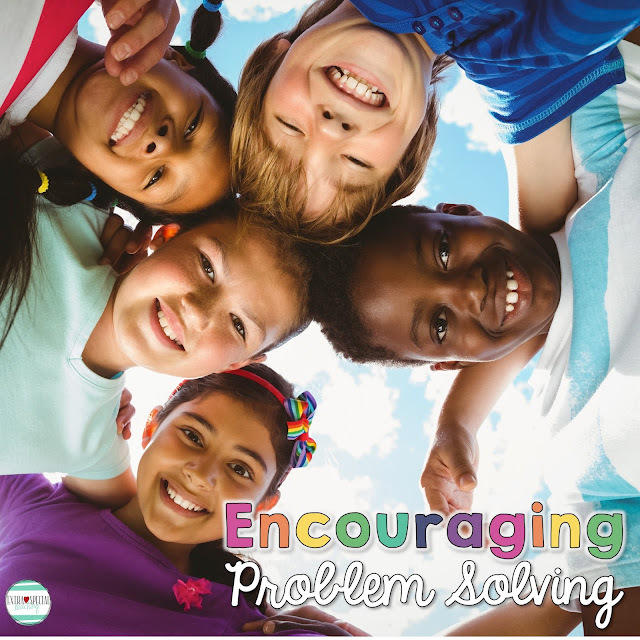 Do you have any great strategies for teaching problem solving in your classroom? Saya hanya sebagai perantara untuk menyampaikan tentang ritual gaib AKI DRAJAT, Saya sengaja menulis sedikit kesaksian untuk berbagi,barangkali ada teman-teman yang sedang kesulitan masalah ekonomi/keuangan ataupun punya masalah hutang piutang.Permasalahan akan di tuntas AKI DRAJAT dengan ilmu gaib yang kasat mata.!! These ideas are great! As a future teacher I can see myself using lot of these ideas when it comes to small issues in the classroom. I love your idea of encouraging problem solving. I also really like the solution wheel. That will be very helpful in my future classroom! These are very helpful ideas. Thanks for sharing such an informative post. Here is great application for job seekers in Pakistan. You can easily find the right jobs related to your field. Education is also important for other reasons. Education helps us to lead a good and healthy life. Education helps us to know the uses of various types of food and how to consume them. It also educates us about how to protect ourselves from diseases and stay away from bad habits. Education is also important for us to defend ourselves and our country. Different colleges like an RV College of Engineering Bangalore,Direct Admission in BMS College of Engineering Bangalore. Bangalore also called as “Silicon Valley of India”; is the capital of Karnataka state. Few of the Top 10 Engineering Colleges in Bangalore for Admissions like PES University and MS Ramaiah Insitute. In term of economy, as well as opportunities Bangalore is one of the rising metropolitan city in India. The city has a pleasant climate throughout the year. Winters and Summer are not extreme but moderate. Bangalore has many great courses such as Chemical Engineering Colleges In Bangalore, Aerospace Engineering Colleges In Bangalore, Biotechnology Engineering Colleges In Bangalore and Physiotherapy Colleges in Bangalore thus it is entitled as education hub of Karnataka. Most of the students, prefer Bangalore for undergraduate studies. As you study in the IT hub of India, you get better exposure and can acquire skills which are required for students to be industry-ready after their engineering. For engineering aspirants, it’s becoming tough to get admission in engineering colleges of Bangalore. But, here we are providing admission in engineering colleges in Bangalore. This is a golden opportunity for all the engineering aspirants. 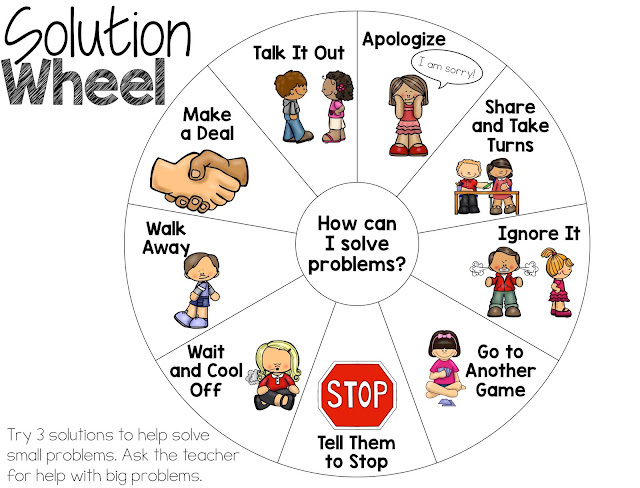 I love your 'problem solving wheel.' Expressing emotion can be so difficult for young students and students who have disabilities of any kind. Having those options available to them will help reduce the number of 'tattles' in your classroom. I also have seen 'cool down corners' and 'tattle phones' and a number of other resources that help students regain control of themselves and their emotions in the classroom.